On Oct. 11, 1987, half a million people participated in the March on Washington for Lesbian and Gay Rights. It was the second such demonstration in our Nation’s capital and resulted in the founding of a number of LGBTQ organizations, including the National Latino/a Gay & Lesbian Organization (LLEGÓ) and AT&T’s LGBTQ employee group, LEAGUE. The momentum continued four months after this extraordinary march as more than 100 lesbian, gay, bisexual, transgender, and queer activists from around the country gathered in Manassas, Va., about 25 miles outside Washington, D.C. Recognizing that the LGBTQ community often reacted defensively to anti-LGBTQ actions, they came up with the idea of a national day to celebrate coming out and chose the anniversary of that second march on Washington to mark it. The originators of the idea were Rob Eichberg, a founder of the personal growth workshop, The Experience, and Jean O'Leary, then head of National Gay Rights Advocates. From this idea the National Coming Out Day was born. 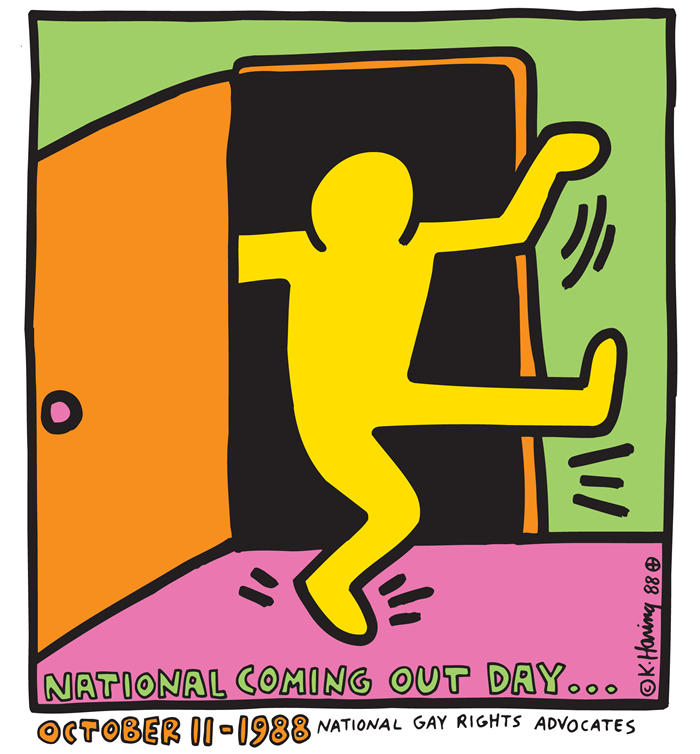 In 1987, Activist Sean Strub got Keith Haring to donate his now-famous image of a person fairly dancing out of a closet.